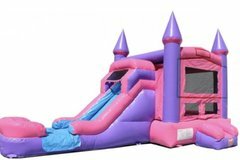 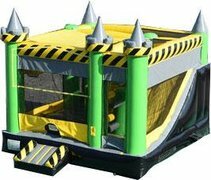 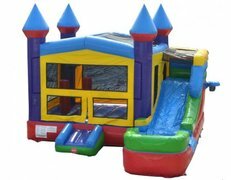 Combo Bounce Houses are the ultimate party rental! 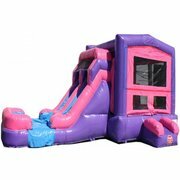 Each one of our signature combo bounce houses features a large play area for bouncing, a slide attachment that can be used either wet or dry, and an outside hoop, giving your guests plenty of options for having a great time! 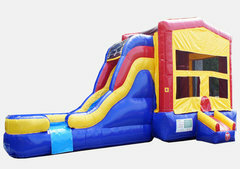 Other standard features include an easy-to-access entrance step and oversized mesh windows on each side of the unit. 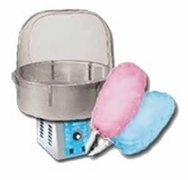 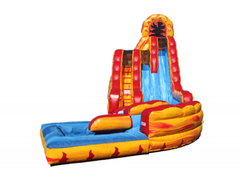 Every order comes with guaranteed on-time delivery and setup, and you can always count on clean, well-mantained equipment that is fully sanitized between rentals. 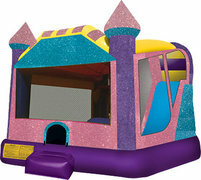 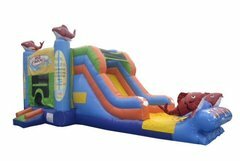 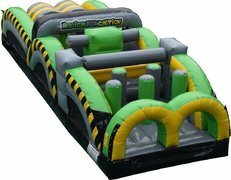 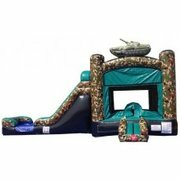 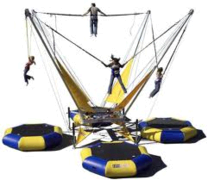 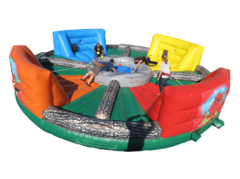 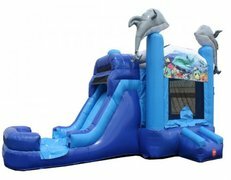 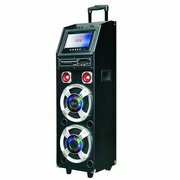 A combo bounce house is sure to make your next party or event into an instant hit! 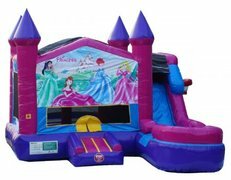 Take the time to browse our selection of various popular themes and characters, and be sure to reserve yours today!